Give shelter. Give services. Give an experience. We’re one of three designated nonprofits that will benefit from Lucky’s Market’s Bags for Change program. All you have to do is shop! And bring your own bag. Our Annual Beer Pairing Dinner is a great way to hang out with friends, learn more about BrickWays and enjoy inventive beer from Right Brain Brewery and wonderful food from Boone’s Long Lake Inn. Get your tickets now! Have you had your Brickleways morsel today? Take a picture of yourself enjoying one of these treats from Morsels in downtown Traverse City and post it to social media. Tag BrickWays and you’ll be eligible for tickets to our May 2 Beer Pairing Dinner. The dinner is wonderfully fun and the morsels are wonderfully delicious, so everyone wins. Buy lots of Brickleways morsels because 25 cents from the sale of each one goes to BrickWays to help us provide life-transforming programs and activities. Don’t delay, though. The Brickleways morsel is only available through February. Morsels is at 321 E. Front St.
Find us on Facebook here. You can earn a chance to win tickets just by sharing our post! Find us on Twitter here. For the entire month of February, 25 cents from the sale of each of these delightful Morsels will go to BrickWays. Buy one, buy a dozen! We are smitten with the name of this morsel, too — BRICKLEWAYS. AND - you can win prizes when you show us your Morsels love. Read about it here! Enjoy the yellow cake with brown butter frosting and a butter brickle topping at the cozy, fun bakery on the banks of the Boardman River or buy a bunch for your friends, family and office. Morsels is at 321 E. Front St. (across from WTCM) and is open every day. 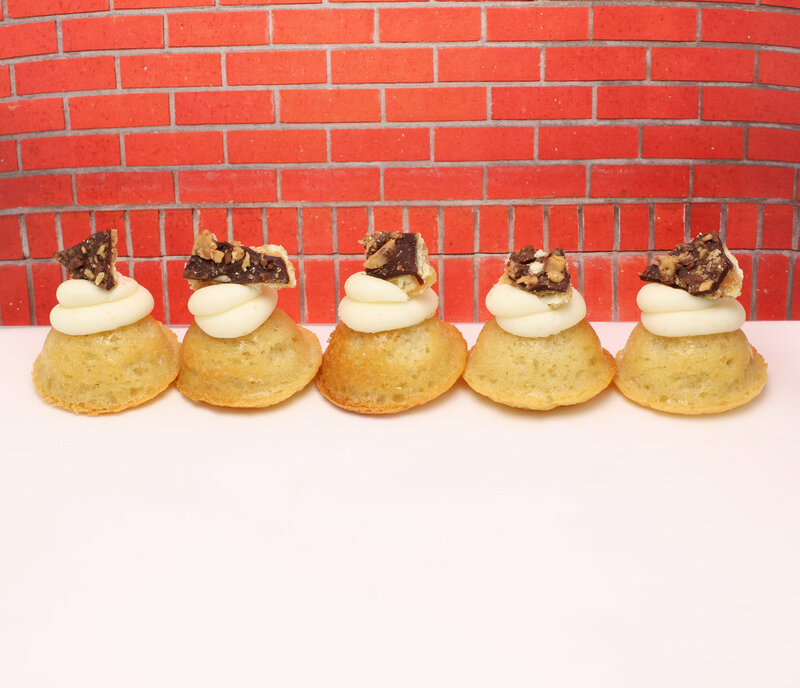 Learn about the Morsels Doughnation program here. Our annual client Christmas Party is Sunday, Dec. 2, at the CLC, 935 Barlow St.
Support BrickWays just by shopping Downtown TC! For every purchase you make at participating stores, 15% of the sale will be donated to the organization of your choice. Specify BrickWays when you check out. It’s easy to support us AND get a jump on your holiday shopping. We’re having a Halloween Party and Costume Contest and it’s all anyone can talk about! The decorations are already legendary. Did you know there’s such a thing as a “web master” that shoots cobwebs? It’s hard not to go nuts with it. If you have any costumes or decorations you’d like to donate, please let us know! Email Julie Murray at murrayj@brickways.org. Join us at The Franklin in downtown Traverse City for exquisite food paired with wine chosen just for us. We're excited about our next fundraiser for our 2019 Trip to Disney World. We're holding a garage sale and 100% of the money raised will be used to offset clients' costs of the trip. Sunday, Aug. 12, is BrickWays Day at the Great Lakes Equestrian Festival. Use BrickWays as the code when you buy your tickets — and see you there! 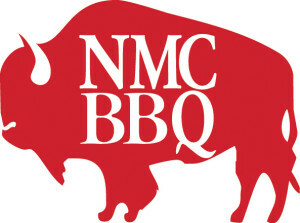 It's time for one of our favorite community events of the year, the NMC BBQ! We'll gather at the CLC, 935 Barlow, at 10:30 a.m. and head out from there for a day of buffalo burgers, music, tours and fun. Please let Susan know if you're going; call 231-620-9937. We're starting a new season at Peace Ranch. This is such a wonderful experience for everyone involved. This session lasts six Fridays. Our relationship with Peace Ranch builds on our relationships with each other, with our community — and with the animals. Working at Peace Ranch increases self-esteem, self-confidence and the ability to follow directions. It decreases anxiety, isolation and fear. One of the benefits of working with horses is that horses have an “immediate reaction” if a person loses control or shows anxiety. That helps the residents moderate themselves and their actions, says Nancy Kollhoff, a BrickWays licensed therapist. When they learn that they are able to change not only their own behaviors, but the effect those behaviors have on others, it opens up new doors. “They can now think of new solutions to everyday problems,” Kollhoff says. Where there once was a feeling of powerlessness, it has been replaced with self-confidence. Where there once were barriers to building relationships, they have been replaced with open doors. Where there once was a feeling of isolation, it has been replaced with friendships. The class begins Friday, May 18; email Nancy Kollhoff for more information, kollhoffn@brickways.org or call 231-620-9937 to sign up. BrickWays is honored to be a sponsor of "An Evening With Eileen McNamara" at the City Opera House Wednesday, April 25. The event is part of the National Writers Series 2018 lineup. Re/Max Bayshore Properties is the co-sponsor. Please join us Thursday, April 5, for six delicious courses specially paired with six unique beers.